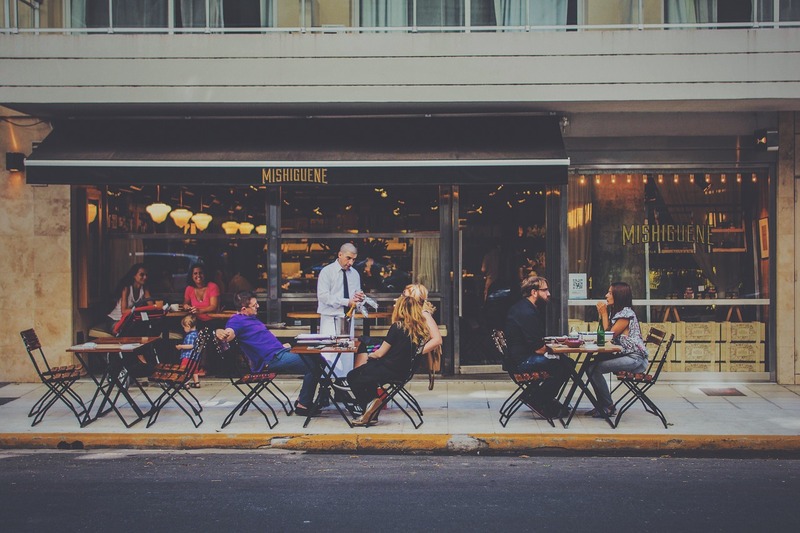 Pay at the Table and EMV - What Does it Mean for your Restaurant? "In an EMV world, it’s best practice for cards to never leave the customer’s possession during a transaction. In the U.S., an additional driver for bringing payment to the table is mobile payment solutions such as Apple Pay, which require either a fingerprint ID or PIN. The payment method can’t come to the POS – customers aren’t going to turn over their PIN or smartphone – so the POS has to come to the customer. There are multiple benefits for implementing tableside payment at restaurants. Not only does bringing the point of sale to the customer help to boost table turns and revenue, it also helps to protect customer cardholder data, which is a major concern for merchants. Here, Greg Burch, vice president of strategic initiatives U.S. for Ingenico Group, highlights some of the perks and breaks down a few best practices. Higher table turns. Consider a typical payment transaction with a magnetic stripe card: a server drops a check at the table in a billfold, and leaves. The customer retrieves their card and leaves it in the billfold, then waits for the server to return. Sometimes that happens a minute later, and sometimes it’s 10 or more minutes later. Then the customer waits again for their receipt. Most restaurants measure table turns closely, and even small increases can contribute to profitability. Moving from three to four table turns per shift can increase revenue by 20-25 percent. Less waiting for customers, higher tips for servers. Cutting down that wait time by bringing the payment device to the table not only leads to more table turns and increased face-time, but also higher customer satisfaction. The result is better tips for servers. We witnessed this firsthand in Canada, where Pay-at-the-Table became the standard shortly after that country’s EMV migration in 2010. Reduced chargebacks. Businesses that do not upgrade their payment technology to accept EMV chip cards are putting themselves at risk of chargebacks due to credit card fraud. Major acquirers have reported that chargebacks have been on the rise since the October 2015 liability shift, with restaurants being one of the major areas affected. This is essentially a trickle-down effect: as more merchants move to EMV, fraud moves to areas that have been slower adopters. Even a small increase in chargebacks and card fraud can be potentially devastating to a small business. Reductions in identity theft. Card skimming by servers has been known to occur in the hospitality industry, where cards typically leave consumers’ sight for several minutes. Servers who are part of fraud rings can wear discreet card skimmers on their belt loops and collect card data from hundreds of customers in a week. Five hundred skimmed cards can be sold on the black market for $1500 or more – significantly boosting a server’s annual income. Pay-at-the-table eliminates that possibility by keeping cards out of servers’ possession. There is no question that pay-at-the-table is becoming a major factor in the market, with some – ipredicting it to be the predominant payment method throughout the hospitality industry by the end of 2016. For those thinking of rolling out pay-at-the-table, here are a few tips for a smooth and successful implementation.